Bitetti Combat announced three fights for its eighth edition on December 4. The Bitetti Combat 8 is a tribute card for the 100th anniversary of Sport Club Corinthians Paulista. Promoter Amaury Bitetti, together with his partner Fernando Chacur, announced a pair of Brazilian vs Japanese middleweight bouts and a lightweight affair last Wednesday. 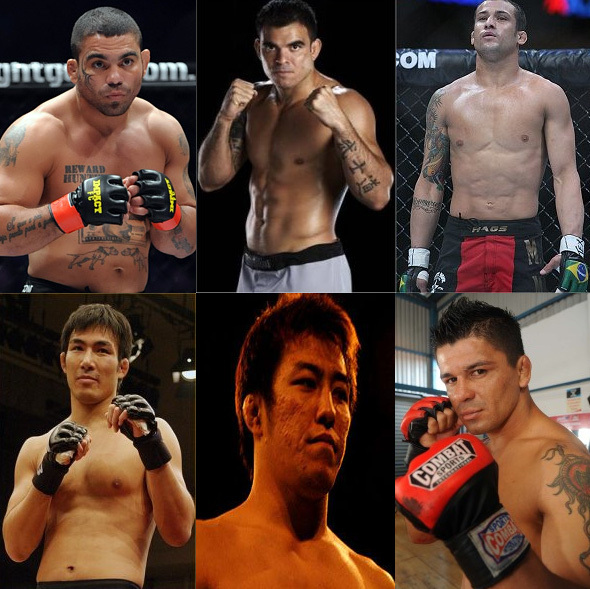 The 185-pound Brazilian fighters, Paulo Filho and Thiago Goncalves, will meet Yuki Sasaki and Eiji Ishikawa respectively. Meanwhile, Cristiano Marcello will have his controversial May loss vendetta to Alejandro Solano Rodriguez. Cristiano Marcello and Alejandro Solano Rodriguez first met at the last edition of Bitetti Combat in May. Marcello took on the early proceedings, but was rattled by Rodriguez in round two. The referee stopped the fight with Marcello still on his feet, but he was hailed defeated. His loss against Rodriguez ignited controversy, and paved the way for a rematch. Thiago Goncalves is coming from a split decision loss to Cory MacDonald last July. Eiji Ishikawa, on the other hand, is coming from a victory over A Sol Kwon in Deep on the same month. The Filho vs Sasaki match was slated on Bitetti Combat 6 card last February. However, Paulo Filho did not attend the weigh-ins, hence the bout was canceled. But their match is soon to take action on Bitetti Combat 8 this December. Filho anchors with him an unanimous decision loss against Marcos Rogelio de Lima in Sao Paulo, while Yuki Sasaki carries with him a knock out loss from Xavier Lucas last November. The Bitetti Combat 8 is set to get the rumble on at the Alfredo Schurig Stadium, on December 4. If you’ll be in Sao Paulo during that time, don’t forget to share your audience experience here at Fighting Insider.